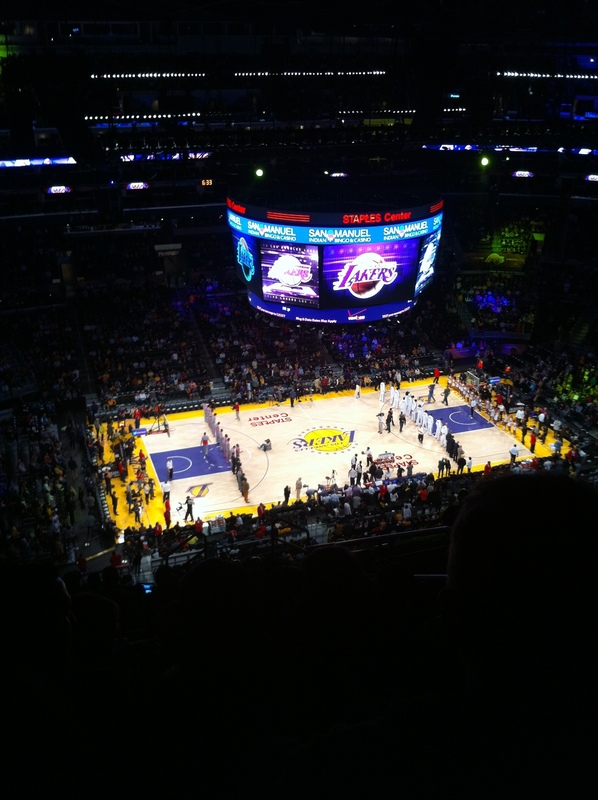 When I got inside the Staples Center, I was starting to get major butterflies in my stomach. They probably weren’t even butterflies. I’m sure they were birds flapping their wings in my stomach making me feel all nervous and excited about my date with Jeremy Lin. My date was pretty intimate as I watched him play against the Lakers from my nose bleed seat. Ok fine. I obviously didn’t go on a date with Jeremy Lin. This game was pretty special to me though. The last time I went to a Lakers game was about 3 years ago and they were playing against the Rockets. I remember seeing sprinkles of red jerseys at the Staples Center. There weren’t many Rocket fans out there in LA at the time. But. The Lakers vs Houston game I went to recently had a lot of Rockets fan. In particular, a lot of Asian Rockets fan. I was actually surrounded by Rockets fans from where I was sitting rather than Lakers. It was eye opening to see how one person can shift the image and culture of basketball in particular with the Asian American community.Jeremy Lin didn’t play the as well as he did back in the beginning of the Linsanity Era when he was on the New York Knicks. It’s ok though. I still think he’s a great and humble basketball player. Overall the game was fun to watch but a little nerve wrecking because there were moments where I thought the Lakers were going to lose. Watching James Hardin play like a beast got me worried about the Lakers. It would have been nice to see Coach D’Antoni and see Steve Nash play. It was good to see Kobe play and watch him save the game as always. Thanks Nicole for joining me last minute to watch the game! Hopefully next time we will get free tacos!